This is sort of an update on the statue of my newest project. I have been slow to attack the to do list. 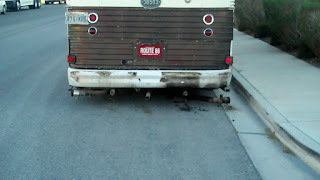 One of the biggest issue for me was getting the rear of the bus cleaned off. There were these stacks that came out the rear of the bus and stuck straight up. Ugly as could be. They are gone. 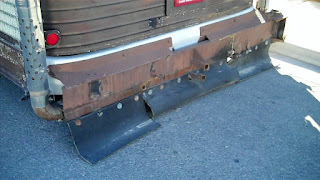 I also had all this iron to deal with which was an extensive addition to the rear of the bus. There was an attachment designed to load and carry a motorcycle. I decided to remove the add on. 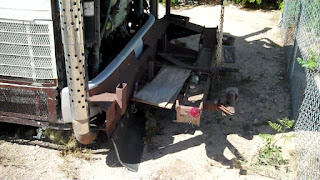 This is what it looked like when I drove it out of the RV Park where it was when I purchased it. This is what it looks like now. A Iron free rear. Progress, but lots left to to.